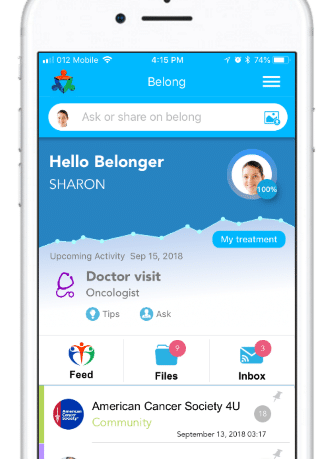 Available on Apple and Google Play, Belong is an app that wants to partner with you and work towards #BeatingCancerTogether. Although I don’t have cancer, I do have multiple other long-term medical problems, and I’m notorious for doing a terrible job keeping track of all my medical paperwork. That’s why I was so excited about Belong’s bookkeeping capabilities. The Belong app is free and utilizes a clean blue-and-white theme. Its main features are support groups (full of both medical professionals and fellow patients), access information on relevant clinical trials as well as a convenient way to store all of your paperwork. Everyone knows doctors require lots of paperwork, and for patients who are in a long-term treatment program, even more documents are necessary. It can be difficult to keep up with all of these important files, so Belong lets you store them electronically from your mobile device. 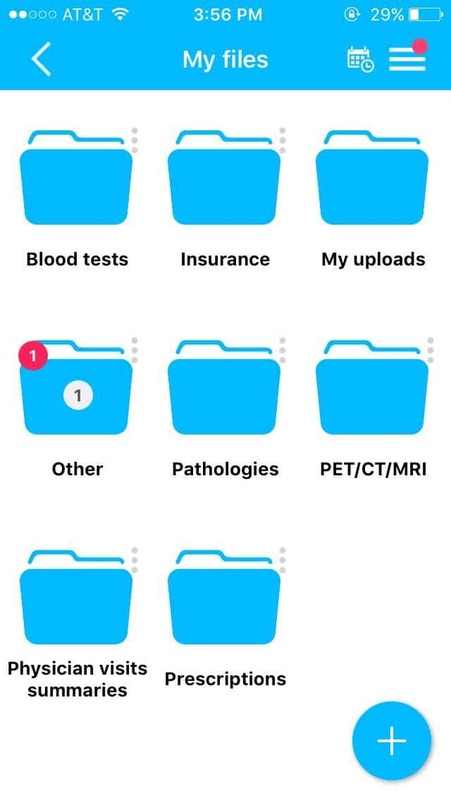 From the app’s homepage, simply tap “Files,” and you’ll be presented with eight sub-choices: blood tests, insurance, my uploads, other, pathologies, PET/CT/MRI, physician visits summaries, and prescriptions. You can add your own folders as well. To upload something, simply open a folder and pull the document from iCloud Drive. With Belong, you’ll never have to worry about misplacing that prescription or forgetting to bring the result of your last MRI to the doctor’s office. Belong lets you keep all pertinent documents in your pocket. You can even share the documents directly with family or listed doctors. There isn’t much I’d suggest to improve the app as the setup process was simple and user-friendly. I did wish there was a simpler way to streamline the information as the sheer volume of user content over professional content made the app’s usability slightly intimidating. However, I’m sure with a bit of practice you could quite quickly cut it down to only see the things that are of immediate interest to you – it will just take a bit of trial and error. Belong recently surpassed 100,000 users, and it’s easy to see why. 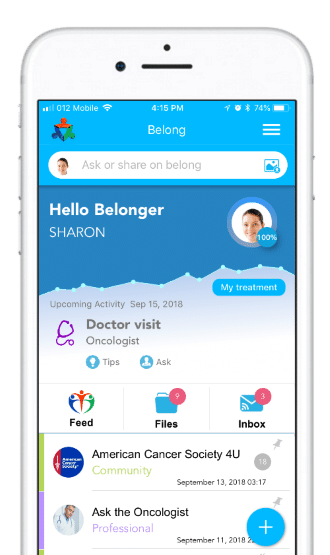 For a completely free app, Belong offers important services that can ease the stress of cancer patients, and it’s something I would absolutely download and use every day. Belong can be found on the App store or Google Play.